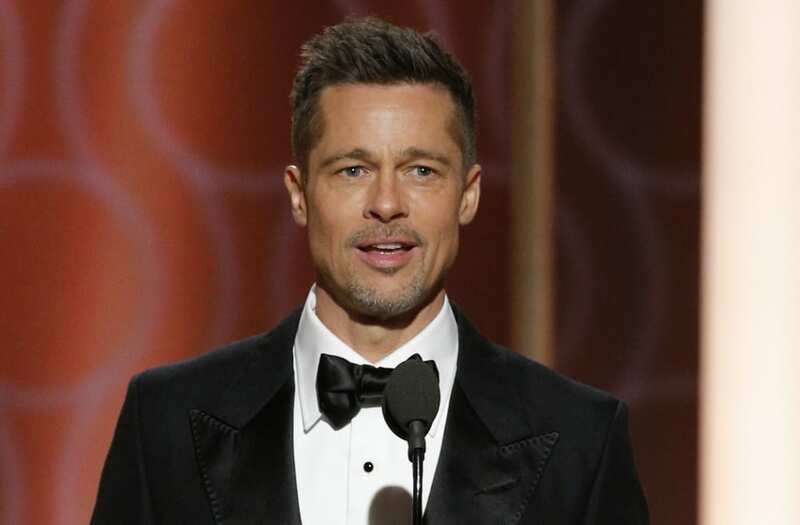 Brad Pitt made heads turn at the 2017 Golden Globes with a much slimmer appearance, and sources revealed more details about his jaw-dropping transformation. "He lost a bunch of weight," a person close to the 53-year-old actor told Us Weekly. "He's focusing on himself again, watching what he eats and has a chef making him healthy meals." In addition to healthy eating, the "Allied" star is also breaking a sweat! "He's been outdoors a lot, hiking and walking. He's had a lot of time to focus on himself." said another source, "He does a lot of weight training. He's dedicated to clean living and eating right." The Oscar-winning actor's commitment to self-improvement comes following a bombshell past couple of months. His estranged wife, Angelina Jolie, filed for divorce on September 19 after two years of marriage. Since then, the famous couple has been in a heated custody battle over their six kids, Maddox, 15, Pax, 13, Zahara, 12, Shiloh, 10, and 8-year-old twins Knox and Vivienne. In a surprising turn of events, the pair released a joint statement earlier this week indicating that an agreement has been met in order to preserve continued privacy for their children. Just days before, Jolie filed new court documents denying Pitt's accusations that she voluntarily made an unnecessary amount of private information through their divorce filings. She insisted that Pitt made such claims only because he's "terrified that the public will learn the truth," according to People. Brad was able to spend part of Christmas weekend with his kiddos for a sweet gift exchange. Their voluntary temporary custody agreement states he can spend time with the kids once a week under the supervision of a therapist.